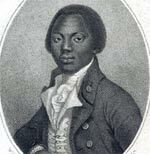 Olaudah Equiano (1745 – 1797) was an 18th-century African writer and anti-slavery campaigner. From an early age, Olaudah Equiano experienced the horrors of slavery first hand. But, eventually one of his Master gave him his freedom. This enabled him to become a British citizen and he began writing about his experiences. 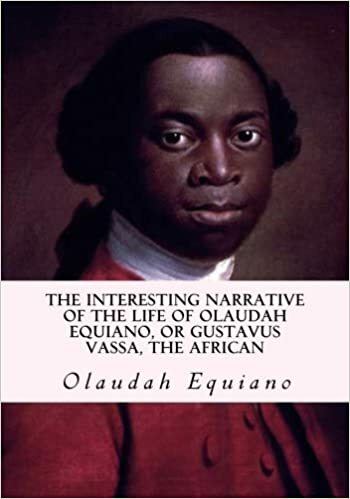 His autobiography ‘The Interesting Narrative of the Life of Olaudah Equiano‘ played a pivotal role in turning public opinion in Britain against slavery. His accounts of slavery and its human suffering were a factor in the enactment of the Slave Trade Act of 1807. Olaudah Equiano writes that he was born in Nigeria in the year 1745 – a member of the Igbo tribe. 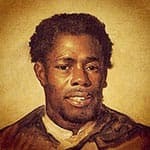 Aged 11, he was kidnapped, along with sisters, by native slave-holders; after being sold to European slave traders, he was then packed into a slave ship and transferred across the Atlantic to Barbados. Equiano eventually ended up the British colony of Virginia. As a slave, he was given different names, including Gustavus Vassa. Equiano gained a certain respect from his master and after travelling extensively, he was sent to England where he gained a basic education. Pascal later wrote that Equiano was ‘a very deserving boy.’ During this time, in 1759, he also converted to Christianity. His Christian beliefs were increasingly important in his life. He used the Christian message of the Golden Rule ‘do unto others, as you would have done to you’ as a way to shape attitudes on slavery. However, he was still denied the freedom that Pascal had once promised. Instead, he was sold on to Captain James Doran in the Caribbean and then onto Robert King, a Quaker merchant from Philadelphia. Initially, he stayed in America to assist Doran as a business partner. But, shortly after buying his freedom, slaveholders attempted to kidnap Equaino and return him to slavery. He only escaped by being able to prove his education. Equiano later pointed out the position of free slaves was little better than slaves because of the dreadful treatment, black men received. Back in England, he was befriended by many who supported the abolition of the slave trade. Many abolitionists were Quakers, but in the late Eighteenth Century, the movement was spreading to other denominations. Equiano was able to give a first-hand testament about life as a slave. This information was useful for those who were hoping to change the law and outlaw slavery. His friends encouraged him to write down a book about his experiences. First published in 1789, the account was eagerly received by many people in Britain. It sold well and went through many editions. Many people who read about the suffering of slaves were more inclined to support the abolitionist cause. The book received good reviews, and many were surprised and moved by the quality of writing and his ability to depict life as a slave. The revenue from book sales enabled Equiano to live independently of philanthropic backers and he could devote more time to campaigning against slavery. 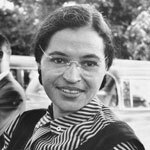 He also served as a leader for the poor black community of London. These were often freed slaves and their descendants but struggled to survive economically. Equiano also campaigned for the extension of the vote to working men. He was an active member of the Corresponding Society. He also supported the London Missionary society – a Christian organisation committed to spreading education and Christianity overseas. Although there is some controversy about the exact birthplace of Equiano – some historians believe he may have been born in North America rather than Africa, there is no doubt that Equiano played a pivotal figure in the anti-slavery movement. His writing and speeches helped show people that there was a strong sense of shared humanity. He made a passionate appeal to the higher ideals of British lawmakers – hoping this would affect change. Citation: Pettinger, Tejvan. “Olaudah Equiano Biography”, Oxford, www.biographyonline.net, 11/08/2013. Last updated 11 March 2018. 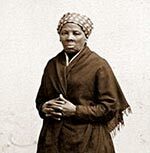 Famous slaves – People who became well-known despite being kept in slavery. Including Moses, St Patrick, Spartacus and Nat Turner.